Why would Australian historians travel to Germany to expound their dark and self-lacerating version of Australian history, likening the tragic situation of our indigenous people to a genocide or holocaust? The answer lies in a convergence of extremist ideology with Germany’s never-ending crisis of national identity as it struggles to find an acceptable formula—a “usable past”—around which it can construct a viable national identity (see Robert G. Moeller, War Stories: The Search for a Usable Past in the Federal Republic of Germany, 2001). The monstrosities of Nazism have left a stain across German history that may take centuries to fade. This has generated an ongoing Historikerstreit (“historians’ dispute”) over the nature and direction of German history and the place of Hitler, Nazism and the Third Reich within it. This erupted in the 1960s and the late 1980s and has given rise to various new forms of Holocaust revisionism and denial. Their strategy is to argue that while the Holocaust did take place, Germany was “merely” following other nations in committing genocide and that the German people are not guilty of any “extraordinary” crime for which they should have to bear an exemplary burden of guilt. More generally, the Nazi regime itself is being made to look less singularly murderous and pathological, and is being transformed into “merely” a vehicle for allegedly “genocidal impulses” that are allegedly inherent in all modern societies. Sensible people might suggest that Australia would be well advised to stay clear of such an intense, emotional, highly politicised and ultimately irresolvable controversy. Unfortunately, such decisions are not left to the sensible, as Michael Connor revealed on May 26 when he posted an article on “Business Class Radicals” on Quadrant Online, describing how a group of Australian historians and intellectuals would be speaking at a symposium on “The History Wars Revisited” at the Free University of Berlin on October 6, linking the Holocaust to the history of indigenous Australians. I posted a subsequent article suggesting that this apparently self-appointed “delegation” needed to be careful they didn’t get embroiled in the Historikerstreit, that the status of the Holocaust as a singular, momentous and monstrous event was at stake in this dispute, and that desperate attempts were continuously being made by certain German historians, politicians and their supporters to relieve Germany’s burden of guilt by relativising and normalising the Holocaust in order to represent it as just another example of the genocidal crimes that have allegedly occurred, not just in Germany, but around the world, including Australia. Central to this new strategy of Holocaust denial are foreign historians and intellectuals who are eager to provide examples of “genocide” that their own countries have allegedly committed which can be used to support the case that the Holocaust was in no way “singular” but just a regrettable example of the perils all countries face and that Germany regrettably fell victim to—an argument along the lines of “We all do it, you know, Germany just got caught”! I was said to be a “cat’s paw” of “Jewry”, as “Israel … with the engineered distractions aired by the likes of toadying Bendle, continues the maniacal latter-day style of Nazism”. For them, “Jewry” have become the Nazis of the present time and are engaged in genocidal “human slaughtering and imprisoning madness”. Clearly I had disturbed these people and they abused me in this deplorable fashion. Inevitably—as is now the Australian way in these things—these people wanted me silenced and sacked for my impertinence. In fact, as I will show in the present article, this symposium in Berlin is yet another example of the eagerness with which Australian historians and intellectuals will seize any opportunity to pursue their agenda of self-righteous moralising and denigration of their country. Moreover, as feared, they are involving themselves in Germany’s traumatic struggle for historical rehabilitation and redemption—an interminable process of self-interrogation that has nothing to do with us, to which we have very little to contribute, and out of which we should stay. Unfortunately, the members of this delegation have their own ideological reasons to be involved, as they made clear in the announcements of the symposium earlier this year. According to one, they will explore Australia’s “confrontation with its own genocidal past”, assimilating the history of Australia to the history of Nazi Germany on the basis that both countries are exponents of genocide. According to another announcement, the History Wars in Australia involve “a rehashing of debates that had already been resolved within the discipline of historiography”. There are many misrepresentations in these announcements. First, there is the absurd implication in the latter claim that the abuse and manipulation of historical evidence uncovered by historians like Keith Windschuttle in The Fabrication of Aboriginal History (2002), and Michael Connor in The Invention of Terra Nullius (2005) can safely be ignored, as if the issues have somehow been “resolved”, when in fact they have not even been adequately addressed, despite the fact that these comprehensive works have completely undermined the ideological edifice that pretends to represent the history of indigenous Australians. This edifice is shortly to take a further hit when Windschuttle publishes the volume of his study of the fabrication of Aboriginal history that focuses on the “Stolen Generations”. Certainly the suggestion that the issues raised by such books have been resolved “within the discipline of historiography” is laughable in its pomposity, as anyone who has followed the debate will be aware. After all, as John Hirst reminds us, this is a field where the common method of estimating Aboriginal deaths in the “frontier wars”—the first episode in the “genocide” or “holocaust”—has simply been to assume that 2000 settlers were killed by the Aborigines and then multiply this by ten to get 20,000 Aborigines killed overall (“Australia: the Official History”, Monthly, February 2008). In fact, there has been precious little academic discipline or recourse to historiography, and only rudimentary attention has been paid to rectifying the systematic fabrication of history that has occurred over the past forty years. Instead, all that happened was that the coterie of historians who have built their careers by systematically misrepresenting our nation’s past went into a state of denial and damage control, pouring forth polemics and ad hominem arguments as they cobbled together a cover-up. Stuart Macintyre, Professor of History at Melbourne University, was reduced to insisting that the argument was not about historical accuracy or truth after all, but was “essentially an argument over the white conscience” that required an “empathetic imagination” rather than a dispassionate examination on the actual facts of the sort that Windschuttle was undertaking. Windschuttle, it was even claimed, was being heartless in not just supinely accepting the claims being made (Stuart Macintyre, The History Wars). Such intellectual contortions and transparent prevarications left the broader Australian public bemused, disappointed and despairing of their own history … and historians. It is easy to understand why these historians fight so hard to defend their systematic misrepresentations of our nation’s past—they know that once the facts are revealed their intellectual capital and moral authority will evaporate, and they may even be held accountable for the damage they have done, especially to the very people whose interests they purport to be protecting. Because of their insistence that the history of Australia has to be seen in terms of racism, massacres, “frontier wars”, and genocide, vital questions of public policy relating to indigenous Australians remain endlessly enmeshed in ideological rancour, while massive problems of health, violence, sexual abuse, crime, housing, education, employment, bureaucratic incompetence, cronyism and corruption persist, despite the billions of dollars that continue to be expended in this area. Internationally, Australia has also been relentlessly maligned and our national image deliberately distorted. For example, in 2008 it was announced that Dr Paul Bartrop, head of the History Department at Bialik College in Melbourne, had included the “Stolen Generations” as an example of genocide in the international reference work The Dictionary of Genocide, while refusing to allow its use to describe China’s activities in Tibet: “We’ve seen the Dalai Lama refer to cultural genocide but that is a misuse of the term.” In other words, what has happened in Australia constitutes a genocidal crime that not even Communist China is capable of! The facts behind journalist Phillip Knightley’s infamous comparison between the Australian colonies and Nazi Germany came straight from the Oxford Companion to Australian History and the writings of Henry Reynolds. Art critic Robert Hughes’s internationally notorious statement that Tasmania housed “the only true genocide in English colonial history” derives from the work of three Australian academics: Lloyd Robson, Rhys Jones and Lyndall Ryan. And, predictably, the Sydney academic and inveterate promoter of the genocide accusation , A. Dirk Moses, felt entitled to claim that “Australia had many genocides, perhaps more than any other country”. Another recent example of this systematic misrepresentation of Australia as a genocidal society has been Blood and Soil: A World History of Genocide and Extermination from Sparta to Darfur (2007), by the Australian Ben Kiernan, a professor of history and director of the Genocide Studies Program at Yale University. Adhering to the New Left theory of history that I will describe later, Kiernan places Australia and other English-speaking “settler societies” at the centre of his history of genocide, and deflects attention away from the murderous regimes of Hitler, Stalin, Mao and Pol Pot. Consequently, the alleged genocidal history of Australia is allocated sixty-one pages in his book, much more than the Holocaust (thirty-nine pages) and the Soviet Terror (twenty-eight pages), and nearly as many as both of them put together! In contrast, a more balanced history of genocide—Eric Weitz, A Century of Genocide, 2003—has nothing to say about Australia at all! Inevitably, given the endless torrent of such extreme condemnations and demands for recompense that could never possibly be met, many Australians have come to feel that a profound burden of guilt is unfairly being imposed on them and on the shoulders of the millions of people who have come to these shores from countries across the globe and who have laboured for over two centuries to make Australian a thriving liberal democratic society in a world where such national achievements are rare. However, there is another dimension to this deceitful ideological farrago, and this concerns the insistence that what happened in Australia was a “genocide” comparable to what the Nazis did in Europe. Not only is this a calumny on Australia, it is also deeply disrespectful, not only of the memories of the millions of Jewish people who were murdered as part of the “Final Solution”, but also of the other groups who were also murdered on an unprecedented scale by the Nazis. Let us briefly review the events to which these Australian historians, theologians, academics and intellectuals want to compare the fate of indigenous Australians, who numbered around 215,000 at the time of European settlement (William D. Rubinstein, Genocide, 2004) and 517,200 (2.5 per cent of the total Australian population) at June 30, 2006. During the Holocaust, some seven million Jews were methodically tracked down and rounded up across Europe by the Nazis, to be systematically murdered by mass shootings, gassing, disease, death marches, starvation, exhaustion, and by being worked to death. Much of this was carried out in such purpose-built camps and killing grounds as Auschwitz-Birkenau (1,400,000 murdered), Treblinka (870,000), Jasenovac (600,000), Belzec (600,000), Majdanek (360,000), Chelmno (320,000), Sobibor (250,000), in Germany and Nazi-occupied regions in Poland and the Soviet Union. As anyone who has visited any of the remains of such camps will know, to suggest that there is any basis for comparison between what the Nazis did there during the Holocaust and the fate of indigenous Australians is grotesque. The systematic mass murder of the Jews was only part of the Nazis’ grand plan, and millions of people of other races were also deliberately killed in various ways. As a first stage, the Nazis’ “General Plan for the East” would have involved the deliberate starvation of 30 million people in Eastern Europe and the Soviet Union as all agricultural produce was directed to the Reich. Ultimately, once the plan was fully implemented, it was projected that up to 70 million people would be killed or expelled to provide the Lebensraum (living space) needed for Hitler’s vision of Großdeutschland (Greater Germany). Here a racially pure Aryan aristocracy would rule over the enslaved masses of a sub-human Slavic Untermenschen, while they lived in splendour in ersatz medieval towns, “shaded by oaks, lindens, birch, ash, yew and juniper”, expressing “the German essence” (Mark Mazower, Hitler’s Empire, 2008). Once again, it is absurd to suggest that there was anything in Australian history comparable to such a demonic dystopia. At the centre of Hitler’s empire was to be Germania, a vastly enlarged Berlin transformed into a world capital (Welthauptstadt), and built at stupendous cost, both in terms of the money to be looted from Europe and the lives of those to be worked to death as slave labour. And in the middle of Germania was to be the Volkshalle (People’s Hall). Designed by Hitler himself, it would have been capped with a dome 290 metres high and 250 metres in diameter, and would have been (and remain) the largest enclosed space ever built. Fortunately, at the cost of some $1.5 trillion and the lives of 50 million people, the Third Reich was defeated by the Western democracies and the Soviet Union and the Nazis’ onslaught was brought to a halt. Consequently, it is not to the Volkshalle of Germania that the Australian delegation is travelling but to the still prestigious Free University of Berlin. There they will be able to expound their version of Australia’s History Wars and liken the fate of Australia’s indigenous people to the genocidal activities of the Third Reich. The convener of the symposium is Russell West-Pavlov, who was born Russell West in Melbourne but is now Professor of Postcolonial Literatures at the Free University, while the delegation includes the freelance historian James Boyce, Bain Attwood, Professor of History at Monash University, and Stephen Muecke, Professor of Creative Writing at the University of New South Wales. West-Pavlov is the co-editor of Polyculturalism and Discourse (2007), a collection of comparative studies on German and Australian history and culture, the ideological nature of which is illustrated by such chapters as “Coming to Terms with Genocidal Pasts in Comparative Perspective: Germany and Australia”, by A. Dirk Moses; and “Privileged Discourses of Hate in Australia and Germany: the Holocaust and the Stolen Generation”, by Katharine Gelber, both of which make clear the desire of such intellectuals to establish a high degree of historical and moral equivalency between Australia and Nazi Germany. For example, Moses begins his chapter with the question of “how countries deal with the material and symbolic legacies of totalitarian rule, genocide and civil war in the immediate past”, and cites Germany as the “paradigmatic case”, before turning to the “self-understanding of countries [such as Australia] where genocide [also] taints their histories”. As West-Pavlov observes, Moses seeks to compare “the process of confronting genocide in Germany and Australia in the contemporary period”, claiming that “half a century of working through the Nazi era and Holocaust in Germany” provides a relevant perspective on the alleged genocide perpetrated against indigenous Australians. Incredibly, Moses believes that Australia’s alleged “genocidal” past compares unfavourably with that of Germany, and that Australia’s national identity is more precarious than that of Germany because Germany enjoys a “nationality … which long preceded the Holocaust”, while Australia is only a recent “settler society” whose history is rooted in colonialism and genocide, and whose “very existence … is predicated on the dispossession, expulsion, and where necessary, extermination of the Indigenous peoples”. Boyce and Attwood follow the same line in their work. They were both subjected to a comprehensive critique by Keith Windschuttle, in “The Return of Postmodernism in Aboriginal History”. Boyce is a former social worker who completed a PhD at the Centre for Environmental Studies at the University of Tasmania, where he is now an Honorary Research Associate. 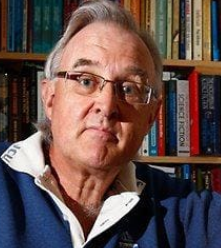 He is the author of Van Diemen’s Land (2008), which contains a highly contentious appendix entitled “Towards Genocide: Government Policy on the Aborigines 1827–38”, and he opened the attack in Whitewash: On Keith Windschuttle’s Fabrication of Aboriginal History, which was also infamous for including a chapter by Moses which compares Windschuttle to the Holocaust denier David Irving. Another member of the delegation is Stephen Muecke. His academic background is in French cultural and literary theory, which found an outlet in such books as Gularabulu (1983) and Reading the Country: Introduction to Nomadology (1984) which were purportedly based on the stories of Paddy Roe, a Western Australian Aborigine. Incredibly, Muecke attempted in this fashion to assimilate Aboriginal culture to the ultra-postmodernism of the Parisian philosopher Gilles Deleuze, who introduced the term nomadologie to describe an esoteric form of Nietzscheanism. As the literary scholar Ken Gelder has observed (in the Australian Humanities Review, July 2005), Muecke used such works to present his eccentric “Deleuzean view of Aboriginal ways of being in the world: as nomads set against the State, and as storytellers who live out a ‘rhizomatic’ connection to country and community”. Muecke continued his “idiosyncratic” attempt to assimilate his representation of Aboriginality to French postmodernism in Ancient and Modern: Time, Culture, and Indigenous Philosophy (2004), which, as Gelder explains, attempts to be “Deleuzean and Aboriginal simultaneously, to somehow fold these two realms together almost to the point of indistinguishability”, and “to entangle continental theory with Aboriginal practice”. Muecke makes “an ambitious non-Aboriginal or ‘whitefella’ attempt to describe ‘being Aboriginal’ and to account for what Muecke calls Aboriginal philosophy”. Consequently, one chapter concerning an Aboriginal man is called “Boxer, Deconstructionist”, with Muecke insisting that Boxer’s stories have the intellectual “power that is often attributed to European theories”. Indeed, Muecke expresses a defining characteristic of the Australian intelligentsia—a tendency to project its own aspirations and pretensions onto our indigenous people. As Gelder observes, “in Australian literary studies, non-Aboriginal readings of Aboriginal stories generally and unsurprisingly end up being about non-Aboriginality: a way of thinking about ‘whiteness’, for example, rather than a chance to meditate on Aboriginality or on ‘being Aboriginal’”. While many Australian intellectuals purport to be genuinely concerned with indigenous Australians, “these kinds of readings … are generally self-reflective”, filtering the Aboriginal stories used, giving them a subordinate status in the text, and allowing the editor to take precedence over the storyteller. Pretending to be concerned about Aborigines, such intellectuals are really concerned with themselves. It pitches an Aboriginal Gemeinschaft against the alienating Gesellschaft of modern Australia. Indeed … Muecke defines them precisely in terms of Ferdinand Tonnies’ end-of-the-nineteenth century notion of the Volk’s community, with its connotations of unmediated exchange, authenticity, organically inherited traditions and rituals, “the network of kin relationships”, and obligatory rural settings. It was, of course, such longings that fuelled the emergence of the radical right-wing anti-modernist and acutely anti-Semitic nationalist groups that were ultimately to give rise to the Nazi party and the widespread popular support that it enjoyed until Hitler led the German Volk into its ultimate Götterdämmerung. It is hard to know what to make of such claims. Could it really be the case, as Muecke apparently believes, that indigenous Australians are exponents of “nomadology”, and have their own postmodernist and deconstructionist form of philosophy that expresses itself in a longing for a Volkisch form of anti-modernity in a manner reminiscent of nineteenth-century German proto-Nazis? Or is it more likely that these are the views of Muecke himself, projected onto our indigenous people? At any rate, such are the key figures in this delegation travelling to the Berlin symposium to discuss the History Wars in Australia. Given their stated positions, it is unlikely that they will present a balanced view of this crucial area of Australian history, despite any pretensions to be guided by “the discipline of historiography”, or any other rules of intellectual discourse. On the other hand, while their moralising receives lots of attention in Australia, it is not clear that they will make a similar impression in Germany. After all, they are venturing into the big league of Holocaust denial and genocide propaganda, where both the far-left and the far-Right have a long history of searching for ways to deny, diminish and obscure German culpability for the atrocities of the Third Reich. Therefore, probably the best chance the delegation will have of getting noticed will be to re-state the allegations that Australia is at least as genocidal in its behaviour towards indigenous Australians as the Nazis ever were towards the Jews and the other people they targeted for extermination. This will be music to the ears of those Germans who are anxious to share or dissipate the burden of guilt imposed by their Nazi past. Undoubtedly the delegation will therefore receive a warm welcome at the Free University of Berlin, which historically has hosted Holocaust revisionists and genocide extremists from the far-Left and the far-Right, as I will now discuss. Founded in 1948 after the Humboldt University of Berlin fell under Soviet control, by 1968 the Free University was the centre of the far-Left German student movement, represented by the Socialist German Student Union (SDS); the radical student leader Rudi Dutschke; and the communist journalist and co-founder of the Red Army Faction terrorist group, Ulrike Meinhof, who lectured there. Their Soviet-endorsed, Marxist-Leninist interpretation of the Nazi regime and the Holocaust quickly came to dominate both the German and international student movements, and its influence remains strong, not only in Germany but amongst those intellectuals, including Australians, who are committed to portraying liberal democracies as inherently genocidal societies. Allegedly a conscientious objector from East Germany, Dutschke had fled to West Berlin in 1961, conveniently on the very last day before the Berlin Wall was erected by the communists. He then enrolled as a sociology student at the Free University, working under several leading Marxist professors. As if working to a script, he joined the German SDS in 1965, after which it grew rapidly and became the centre of the movement against the Vietnam War. In 1967 a demonstrator, Benno Ohnesorg, was shot dead by a West German policeman, Karl-Heinz Kurras, and the SDS leadership was able take the movement in an ultra-radical direction, with Meinhof co-founding the RAF, while a similar terrorist organisation, the Movement 2 June (named after the day of Ohnesorg’s death) was also formed. Dutschke became “the New Left’s leading theorist [advocating] illegal, direct action against the state apparatus to weaken the Imperialist powers” (Jeremy Varon, Bringing the War Home, 2004). Soon, “young leftists flocked in droves … into the rapidly proliferating Marxist-Leninist groups”, and by 1971 there were “some one hundred and thirty orthodox communist organizations, twenty Maoist groups, and five Trotskyite parties, with a combined membership of 80,000”. Their extremist ideology—an amalgam of Marxism-Leninism, Maoism and Marcuse—shaped the political outlook of a generation of students. The Australian delegation can expect to meet such people and their acolytes, who will be eager to have their views on the Holocaust and the genocidal nature of liberal democracies endorsed by the visitors. Unsurprisingly, it now appears the Ohnesorg shooting and the shift to political extremism and terrorism were in fact a carefully planned and very successful communist propaganda coup that successfully radicalised the SDS and imprinted the Marxist-Leninist view of history onto a generation of New Left intellectuals, in Germany and elsewhere. This assessment is strongly supported by the revelation in May 2009 that Kurras was a long-time member of the East German communist party and an undercover agent of the Stasi, the East German secret police, which were seeking to radicalise the student movement, and destabilise West Germany, its alliance with the USA, and NATO. Central to this radicalisation was the version of history into which Dutschke and all other members of his generation were indoctrinated in East Germany, where only one history textbook was used in the schools during the postwar decades (Bodo von Borries, “The Third Reich in German History Textbooks since 1945”, Journal of Contemporary History, January 2003). This book promulgated a Marxist-Leninist version of the Marxist “logic of history” that had its origins in the pre-war period of the Soviet-led “United Front” against fascism, when Nazism was seen as merely an authoritarian variant of capitalism, a “crisis mechanism” to which imperialism resorted when threatened by socialist revolution in periods of economic instability. It was this theory that Dutschke took with him to the West in 1961, where it formed the core of the ideology of the student movement, the rapidly developing terrorist groups, and the New Left generally. According to this theory of history, genocide and the Holocaust are crimes that can be committed only by the reactionary “imperialist” states, especially as they battled the progressive “socialist” forces in a mortal conflict that characterised the twentieth century. Consequently, the Soviet Union was declared to be incapable of committing genocide. This is reflected in the definition of genocide adopted by the United Nations in its convention on genocide in 1948, according to which genocide involves “acts committed with intent to destroy, in whole or in part, a national, ethnical, racial or religious group, as such”, with any reference to groups identified by economic or social class being omitted. This omission occurred at Stalin’s insistence because any reference to the genocide of entire social classes would have indict the Soviet Union as a pre-eminently genocidal society, as it had implemented a policy of “dekulakization” between the wars, leading to the deaths of some 60 million people, once the effects of disease and famine are considered. Stalin himself had announced the “liquidation of the kulaks as a class” in December 1929 and this involved the explicit “elimination of kulak households in districts of comprehensive collectivization”, with all kulaks being divided into three categories: (1) To be shot or imprisoned as decided by the local secret political police; (2) To be sent to Siberia, the North, the Urals or Kazakhstan, after confiscation of their property; (3) To be evicted from their houses and used in labour colonies in their own districts (Robert Conquest, The Harvest of Sorrow: Soviet Collectivization and the Terror-Famine, 1986). It is impossible to imagine a clearer statement of genocidal intent than this or to find a better example of a comprehensively executed genocide of a specified group of people. It is a fundamental moral weakness of the UN convention that this omission remains uncorrected and the Soviet Union remains unindicted, while accusations of genocide continue to be made in a profligate fashion against liberal democracies like Australia for their allegedly brutal treatment of their indigenous peoples. Crucially, the “imperialists” in the Marxist-Leninist version of history included not only the Nazis and other fascist powers, but also the Allies. The latter were alleged to have played no decisive role in the Second World War, leaving the bulk of the fighting to the Red Army, with their bad faith being revealed when they “abandoned” Poland in 1939, leaving it to the Soviet Union to “liberate” the Polish people. Later, it is alleged, the Allies ensured the death of millions of German and Soviet soldiers by deliberately delaying the long-promised “second front” in the West. Instead, they killed hundreds of thousands of innocent German civilians in “terrorist” bombing raids on helpless German cities in what were “genocidal” war crimes. According to the Marxist-Leninist view, the principal motives of the Allies were obvious: they wanted to embroil the Soviets and the Nazis in a war of mutual extermination, while American capitalists made gigantic profits from arms sales. In this version of history the Nazis and the Allies were all depicted as essentially fascist powers. Consequently, the genocidal atrocities committed by the Nazis were carefully detailed in Marxist-Leninist history, not only because the Nazis were the enemy, but so such tendencies could also be depicted as characteristics inherent to the “fascist” West. In this fashion it became possible to depict the mass extermination of various groups by the Nazis as an expression of a genocidal tendency inherent in all “imperialist” societies, whether they be explicitly fascist states like the Third Reich or implicitly fascist democracies like America (or Australia, we may now add). At the same time, every effort was made to obscure the horrendous scale of the catastrophe that had befallen the Jews. This was not only because of the persistent anti-Semitism of the German, East European and Soviet societies, but also because the unique victimisation of the Jews created problems for Marxist-Leninist theory, especially in its depiction of the power of international imperialism, with which the Jews were inevitably associated. Consequently, the Jews were represented as just another category of victim among the “professors, engineers, priests, politicians, workers, Jews, Frenchmen, Czech citizens, Soviet soldiers and officers” (von Borries, p.48), and the unparalleled scale of Jewish suffering was deliberately obscured. Even when the death camps were described in gruesome detail, the emphasis was not on the systematic genocide of the Jews but on the profits made by the German capitalists supplying the camps, with the fate of the Jews being acknowledged as just one more item in a list of victims. By 1970 the Marxist-Leninist view of the Holocaust reigned supreme on the Left. The conviction that West Germany, America, Western Europe and NATO were all just contemporary manifestations of the same imperialist system that had produced Nazism had become “the dominant ideological current of the West German New Left, providing young radicals with a robust sense of mission” (Varon, p.66). Consequently, there was the sudden shift in support away from Israel to the Palestine Liberation Organisation (PLO), which was quickly elevated to heroic status as an anti-imperialist “national liberation movement”, along with the Viet Cong, but this time fighting against Israeli “oppressors” depicted as agents of American imperialism in the Middle East. Significantly, support for the PLO and antipathy towards Israel were more intense within the German New Left than elsewhere, so that “at times, their rhetoric seemed an echo of the anti-Semitism of the past”, with commentators citing various reasons for this, including a “largely unconscious desire to paint Israel as an arch-oppressor, and thus diminish the guilt of Germany” for the Nazi atrocities (Varon, pp.69-70). This anti-Semitism of the left quickly became violent, providing “chilling evocations … of the Nazi’s own aggression” (Varon, p.250). These included the fire-bombing of a Berlin synagogue on the anniversary of Kristallnacht in 1969; the exultation of Meinhof and the Red Army Faction when Black September terrorists kidnapped and murdered eleven Jewish athletes during the Munich Olympics; and the plot by German and Palestinian terrorists to murder the leaders of the Jewish communities that were daring to re-emerge in Frankfurt and Berlin. In various anti-Semitic pamphlets, the Black September murderers were declared to be anti-fascists at “the cutting edge of anti-imperialism”, while Israel was accused of “fascist acts of horror”, “Gestapo torture methods”, and of being “fascists who want to eradicate the Palestinian people in collaboration with Amerikan [sic] capital” (Varon, p.251). As such outrageous statements indicate, the German New Left shifted quickly back towards the anti-Semitism of the Nazi period just as soon as a theory of history became available that veiled such attitudes in an aura of intellectual respectability, at least amongst the radical intelligentsia. This then is the ideological perspective of that generation of left-wing intellectuals who will greet the delegation and witness what they have to say about Australia’s “genocidal” past. I turn now to the comparable views prevalent on the German far-Right. Here once again the Australian delegation can expect to feel quite comfortable at the Free University, where the most prominent exponent of Holocaust apologetics, Ernst Nolte, was a professor between 1973 and 1991 and where he currently serves as emeritus professor of contemporary history. Nolte rose to prominence with his 1963 book Der Faschismus in seiner Epoche (The Three Faces of Fascism). Later he triggered the famous outbreak of the Historikerstreit in 1986–87 with an opinion piece in the Frankfurter Allgemeine Zeitung entitled “The Past That Will Not Go Away”, lamenting the persistence in collective memory of the Holocaust, and he has persisted for over twenty years with his attempts to formulate an intellectual and historical apologia for Nazi Germany. It is indicative of the intellectual climate in Germany that Nolte was awarded the Konrad Adenauer Prize for Literature in 2000. Nolte’s basic strategy has been to relativise and normalise the Holocaust, rendering it no longer unique or inexcusable, and thereby removing any reason to single out the German people for special criticism. He does this, first, by subsuming the Holocaust within a general theory of genocide in the modern world; and second, by depicting it as a regrettable but understandable response by Nazi Germany to the Soviet threat. His most systematic statement of this approach appeared in 1987 in Der europäische Bürgerkrieg, 1917–1945 (“The European Civil War, 1917–1945”), which developed the idea that the Russian Revolution had plunged Europe into a new “thirty years war”, with Germany involved in a titanic battle to resist the rise to hegemony of the Soviet Union. As a first step in relativising the Holocaust, Nolte portrays it as “merely” another genocide in a century defined by the totalitarianism, genocide and ethnic cleansing in which many societies engaged. And here he cited the Armenian genocide; the ethnic cleansing that occurred in Greece and Turkey in 1922–23; the various episodes of the Red Terror in the Soviet Union; the 1939 massacres of German minorities in Poland by Polish troops; the Great Leap Forward and the Cultural Revolution in China; the genocide carried out by the Khmer Rouge in Cambodia; and the Soviet invasion of Afghanistan. Nolte also includes the alleged genocide and war crimes of America in Vietnam (he depicts these hyperbolically as “nothing less than [an] even crueler version of Auschwitz” (qu. in Richard J. Evans, In Hitler’s Shadow, 1989 pp.26-7)). Here, of course, lies an opportunity for the delegation to ingratiate itself by adding Australia to Nolte’s list of genocidal modern societies. Predictably, Nolte also includes in this litany of atrocities the postwar expulsion of ethnic Germans from Eastern Europe—an event that he insists should “be categorised … under the concept of genocide” (Evans, p.94). This expulsion is a cause célèbre for Germans, not only because they see it as an atrocity at least as appalling as the Holocaust, but also because it was an event in which the victims were actually Germans—who, they claim, have been unfairly denied the attention and sympathy enjoyed by the Jews. Second, Nolte insists that the Holocaust was an understandable reaction by Hitler to the looming spectre of communist envelopment, and that Hitler was therefore driven to commit an “Asiatic deed”—that is, execute the Final Solution—by the mortal threat represented by the “Asiatic Barbarism” of the Soviets. In this view of history, the Red Terror was the primal genocidal act from which all else flowed: after all, Nolte insisted, all aspects of the Holocaust had been pioneered in the Soviet Union: “wasn’t the Gulag Archipelago not primary to Auschwitz? Wasn’t the Bolshevik murder of an entire class the logical and factual prius of the “racial murder” of National Socialism?” (Forever In The Shadow, p.22) Therefore, according to Nolte, the Third Reich only mimicked the “Asiatic barbarism” of the Soviet Union, against which it acted as a bulwark protecting Europe; while the Holocaust only happened because Hitler was petrified of the Soviet threat and felt compelled to carry out a pre-emptive strike against the Jews, who he saw as internal enemies allied with the mortal enemy of the German people. On this last point, Nolte made much of the a letter sent in September 1939 by the President of the World Zionist Organization, Chaim Weizmann, to the British Prime Minister, Neville Chamberlain, pledging full support for the British war effort. According to Nolte, this letter constituted a “Jewish declaration of war” against Germany, to which Hitler quite reasonably responded with the policies that evolved into the Final Solution (Ernst Nolte, “Between Myth and Revisionism” in H.W. Koch (ed.) Aspects of the Third Reich, 1985, pp.27–28). When he was subsequently challenged on this claim, Nolte explained that he was merely quoting the Holocaust denier David Irving, who had made this claim in Hitler’s War (1977) (Deborah Lipstadt, Denying the Holocaust, 1993, p.111). Nolte was very impressed by Irving, readily accepting his claim that Hitler in 1940 “had good reason to be convinced of his enemies’ will to annihilate” Germany, and that this justified his decision to “intern” the Jews of Europe, especially given Weizmann’s statement that “in this war the Jews of all the world would fight on England’s side”, as Nolte put it (Ernst Nolte “Between Historical Legend and Revisionism?” in Forever In The Shadow, p.8). He also accepted “Irving’s assertion that the bombing of Hamburg in 1943 … was proof of the Allies desire to destroy the German civilian population” in a crime that would have dwarfed the Holocaust, and praised “Irving’s tendency to place Auschwitz in a more comprehensive perspective”. Irving, of course, is a favourite of Holocaust deniers and the neo-Nazi movement. He made a name for himself with The Destruction of Dresden (1963), which alleged that some 250,000 people died in the bombing, a claim that was widely accepted, made the book an international best-seller, fuelled the anti-Western feelings of the New Left, and remains accepted wisdom. It now appears that the death toll was actually around 25,000 (Richard J. Evans, Lying About Hitler, 2001, p.177), but the notion that “Dresden” constitutes a “war crime” remains an influential part of the contemporary ideological indictment of the West and liberal democracy, in which endless propaganda about “genocide” plays a major role. Consequently, Irving portrays Dresden as a far greater crime than Auschwitz, a view taken up with alacrity by Holocaust revisionists. It appears clear that the Australian delegation will enter a very welcoming ideological environment in Berlin to present their views on Australia as a genocidal society. Looming over proceedings will be the self-serving view common amongst Germans of both the Left and the Right that the Holocaust was an expression of a “genocidal tendency” inherent within modern societies, an exculpatory model for Germany into which the Australian experience can readily be made to fit by the delegation—at the cost, of course, of national self-denigration. More specifically, the delegation can expect to find the following familiar and highly sympathetic beliefs entrenched amongst their audience: (1) Liberal democratic “settler societies” such as America, Israel and Australia have a propensity for genocide and war crimes, and this explains their treatment of their indigenous peoples; (2) Such countries can be assimilated to Nazi Germany on the basis that they are all inherently fascist powers and core components of an imperialist system that has been responsible for all the destruction and atrocities of the past century; and, (3) Such societies are committed by their very nature to the exploitation and destruction of oppressed peoples, for example, those seeking “national liberation”, or “self-determination”, like the Aborigines and other indigenous peoples. The danger for Australia is that such an ideological paradigm will not only ratify the existing extreme views of the delegation but will further encourage its members in the conceit that their denigration of Australia expresses their responsibilities as intellectuals resisting genocidal fascism, and that they must continue their campaign no matter what the empirical historical evidence may indicate, no matter what the cost to Australia’s national identity may be, and no matter what massive efforts, supported by the vast majority of Australians, are continuously being made to address the situation of our indigenous people.